Reading Challenges: Every year, NBPL creates reading challenges for all age groups including children, teens, and adults. Each challenge is catered to its specific audience and encourages patrons to explore numerous genres of books. 1K Books before Kindergarten: This program offered preschoolers the opportunity to read 1,000 books during the summer. Kids received a free book bag at registration and prizes for multiple milestones throughout the program. Winners received a certificate and had the option to have their picture posted on the “Completed 1,000 Books Before Kindergarten” wall. Storytime: The library offers multiple story times for different ages at the main branch and the Westside Community Center. 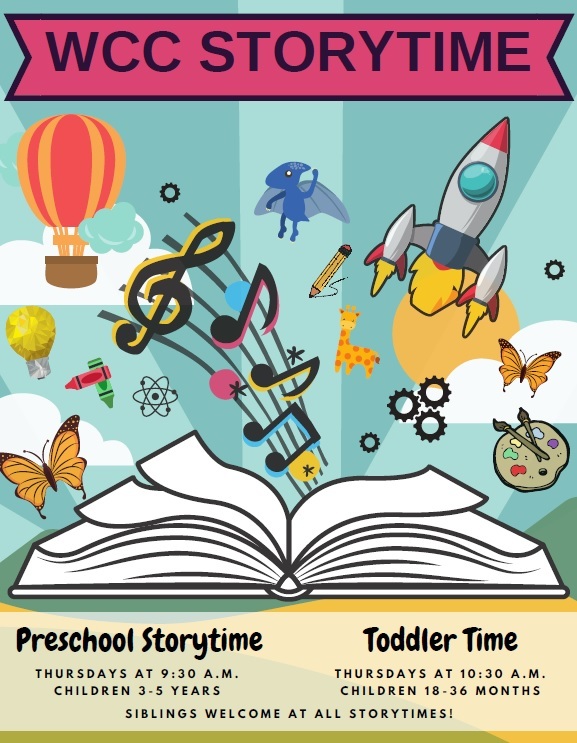 Storytime is focused on demonstrating the best early literacy practices to help children learn to read such as letter knowledge, phonological awareness, print motivation, and more. Storytime also includes crafts, music, or a short playtime.We have also recently added a Bilingual Storytime to our rotation. Niche Academy tutorials: NBPL has teamed up with Niche Academy to give our patrons easy, step-by-step tutorials for the various digital resources the library offers such as Overdrive, rbDigital, Flipster, etc. Patrons can choose to complete the tutorials by video, text, or audio. ESL classes: The WCC offers morning and evening sessions for English as a Second Language courses. These courses are open to the public, free of charge. These classes provide students with the opportunity to improve in reading, writing, speaking and listening, computer skills, job readiness, confidence building, life skills, and more. Rosetta Stone: NBPL continues to offer Rosetta Stone for patrons to use for free at our Westside Community Center. Paws to Read: The library hosts the Paws to Read program every 3rd Friday of the month. 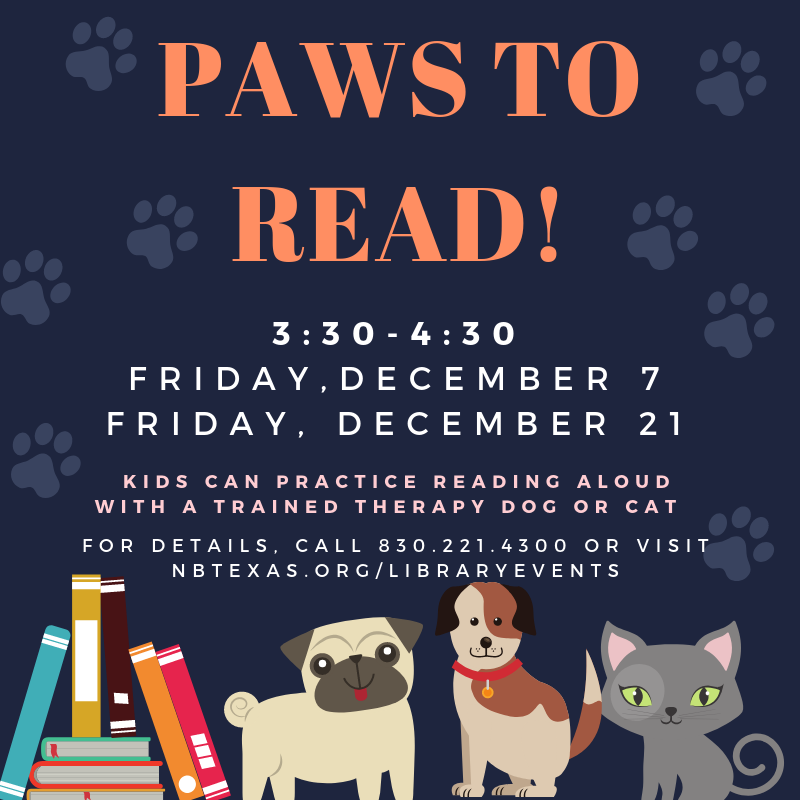 This program allows children to choose books and read to therapy dogs (or cats!) to help enhance their reading skills. NBPL has received very positive feedback from this patron favorite. 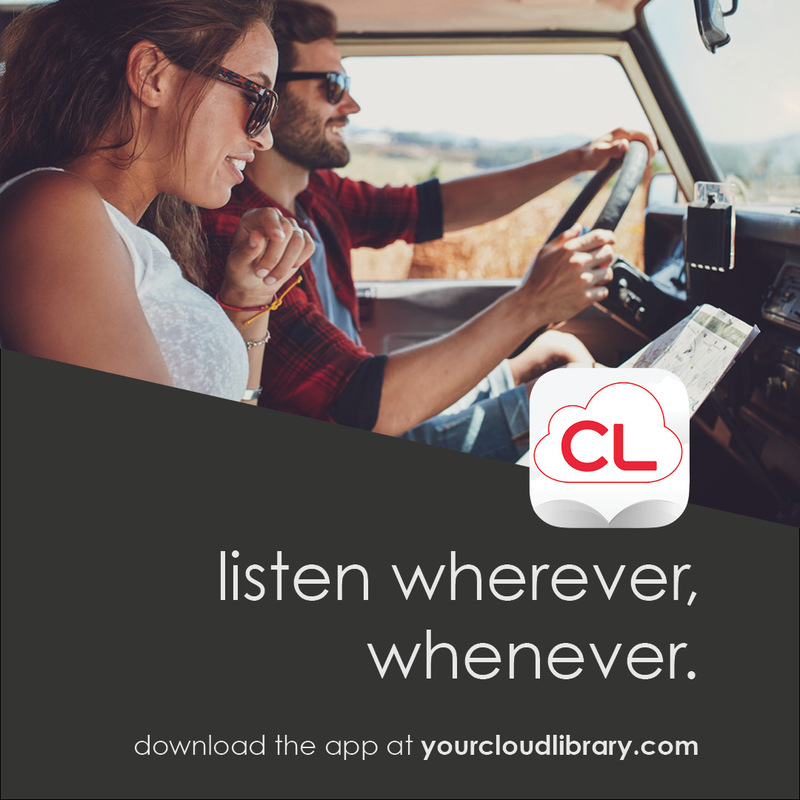 cloudLibrary: Our newest literacy support item would be cloudLibrary which we debuted in November 2018. This digital library helped the library add over 100,000 digital titles by sharing items with over 25 libraries. Specialty events: The library celebrates special events/days to help support literacy particularly for children such as World Read Aloud Day! Children were given the chance to read a variety of books with this year's reading challenge. Adults and teens were challenged to read 26 books for the year. Bonus item included! 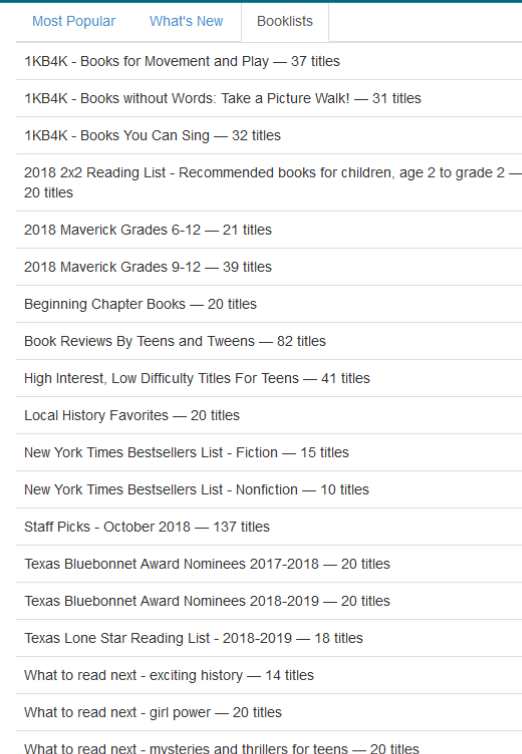 Booklists,created by our librarians, were also made available on our catalog homepage to help patrons find books for various book challenges such as 1K Books before Kindergarten, Bluebonnet books, local favorites, and more! 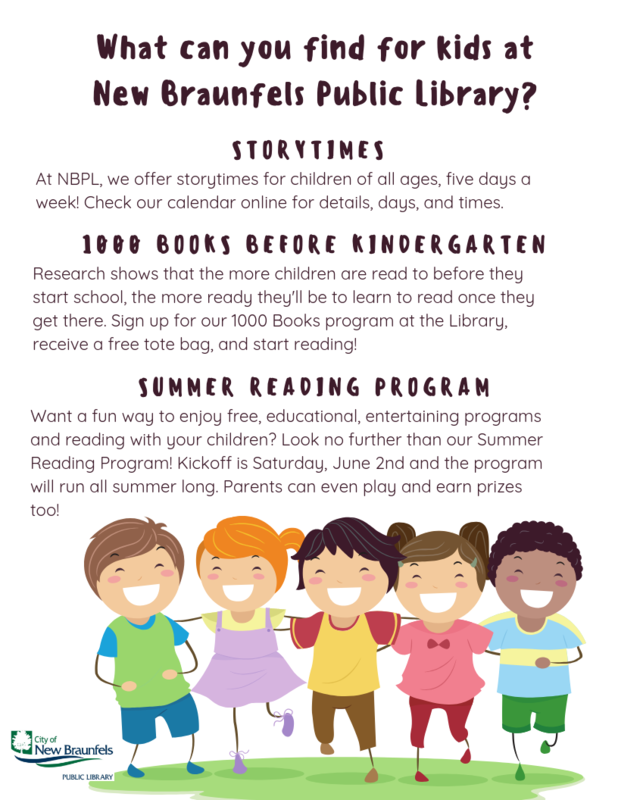 There's always something for parents and children at NBPL. The library expands beyond the building's walls with our latest digital resource. Check out bestsellers, new releases, and more with cloudLibrary.